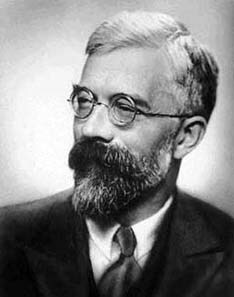 Statistician and geneticist Ronald Fisher advanced the practical applications of statistics, and introduced the method of maximum likelihood. He made significant contributions to the understanding of Darwin's theory of natural selection, and many of the concepts Fisher explored in his early agricultural research and his later studies of how genes determine different traits were applicable across numerous other sciences. He introduced the concept of the fiducial interval, wrote extensively on the theory of estimation and analysis of variance and covariance, and his Statistical Methods for Research Workers became the fundamental text for research students through most of the Twentieth Century. His daughter, Joan Fisher, married statistician (broken link, George Box) and wrote her father's biography.